This back-of-the-hand grip is designed for use by those who have some hand function and can grip the paddle shaft on their own, but need a bit more support. The adaptation takes lifting pressure off of the fingers and places it on the arms. The height is adjustable and the end is open to allow for proper pressure without inhibiting release. For those who are not able to grasp the paddle shaft, we designed a two-part system. A wristband is worn on the wrist and an attachment plate is mounted to the paddle shaft. The wristband then slides into the paddle attachment, allowing full power, rotation and control without releasing. However, it releases easily by sliding the hand out, maximizing safety. 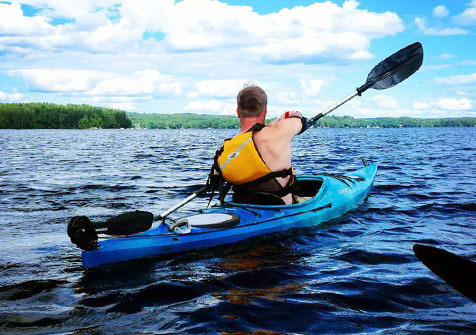 The combination of our Universal Base with this pivoted paddle adaption allows one-arm control of the kayak. It also provides support to completely remove the weight of the paddle from the paddler’s arms when using both arms. The pivot assembly snaps onto any paddle shaft. The paddle and pivot assembly lift out of the base for ease of entry and safety in the event of a wet exit. Contact us to discuss your needs and we’ll create a solution with you. All of our paddle adaptations are designed to work with almost any standard paddle. 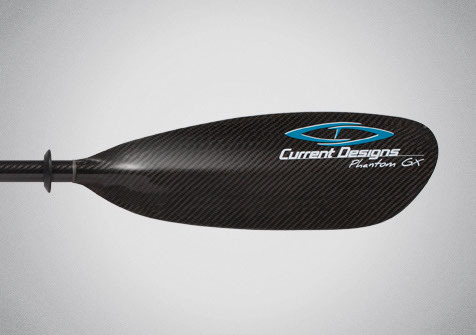 We also carry the full line of Current Designs paddles. Please contact us for assistance in selecting the best paddle for your needs.